Recent Updates - CHAIN Works for you. This serves as to Bulletin Board for the Homeowners. This page includes vital information about a certain project completion, issue resolution, major announcements, etc that officers and homeowners should know. The General Assembly of Camella Homeowners took place last May 1, 2013 from 3:00 PM until 5:00 PM with an available representative from Maynilad that answered queries of the homeowners. The following are the general points of information that were tackled. Q: What are the requirements when applying for water service in Maynilad? Q: How much is the connection fee for Maynilad? A: P3100 is the discounted connection fee promo which can be paid in cash or via installment basis for 3 months which will be incorporated on the first 3 months of your water bill. If a senior citizen, the discount for Maynilad bill will only be honored starting on water bills that does not include the connection fee. If you were not able to catch up on the promo, the fee is worth P8100. Q: Until when is the promo so we can avail of the P3100 discounted connection fee? 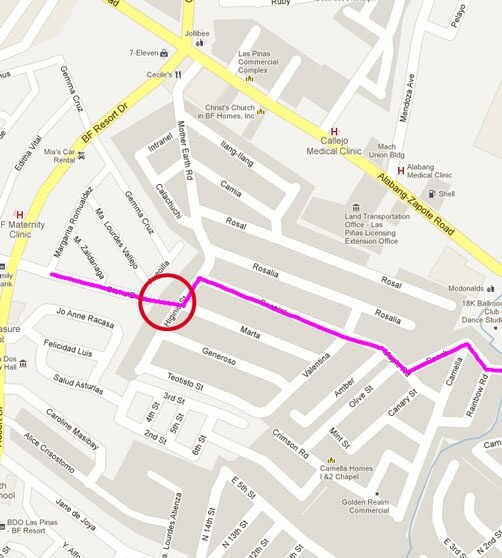 A: Within 3 months (July 2013) or until Maynilad finishes the piping along the roadsides of the subdivision. Q: Where can we pay Maynilad for the connection fee in case we opt for paying in cash? A: CHAIN does not collect fees for Maynilad however your directors can arrange with Maynilad so they can come over to collect the fee from you. Maynilad requires at least 3 homeowners to pay before they will send a representative. Contact your directors so they can schedule an appointment with Maynilad through here. Q: I have dues unpaid for CHAIN, would I be eligible of getting a Homeowners Certificate? A: Unfortunately, the CHAIN board will not be able to give a certificate for homeowners/members with unsettled dues. You may contact the CHAIN President, Cezar Lorzano for more discussions regarding the matter. Q: I chose not to pay the CHAIN dues and would just get a barangay certificate. Is this possible? A: Before the barangay can issue a certificate, they require a HOA certification before doing so. It is not possible. Q: Where can I get a HOA Certification from CHAIN? A: You may contact Ms. Cecile Dablo to get a certification. Q: I don't have an application form, where can I get one? A: You ask it from Ms. Cecile Dablo or directly at Maynilad offices or download and print the application form from Maynilad website here. Q: I have dues unsettled with Prime Water, is it possible not to get a certification from them to apply for a Maynilad service. A: Maynilad requires Prime Water certification. You need to work with Prime Water to assess any disputes or issue with them to get a certification from Prime Water. Q: When will Maynilad start their water service in the village? Q: Will there be any issues to expect during Prime Water and Maynilad turn-over of service? A: Virtually no issues as both companies are required by law to provide proper service during the turn-over. If you have more question, do contact your Board of Directors at our contact page here. On March 23, 2013 at exactly 8:30PM, join us as we support the move to bring out a message of environmental preservation and protection by turning off lights for about an hour to join the worldwide movement of Earth Hour. Let us use this hour of darkness to send a message to everyone to call for environmental preservation and protection and make sure our children and generations to come; would still see the beauty of our world... our country.